McKay Everett, on the morning of the day of his abduction. On Sept. 12, 1995, one of the most heinous crimes in the history of Texas occurred in Conroe. 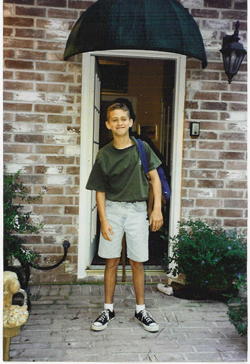 A family friend of Carl and Paulette Everett abducted their 12-year-old son, McKay, who was later murdered in a swamp in Louisiana. Two perspectives of that event--the mother's, and that of the family friend who admitted to the kidnapping but not the murder--are told in two books recently released by Sam Houston State University's Texas Review Press. 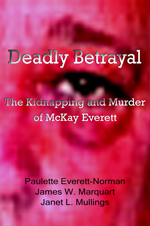 The idea to write the book Deadly Betrayal: The Kidnapping and Murder of McKay Everett, came from Paulette Norman, McKay Everett's mother. She worked with Janet Mullings, SHSU associate professor and associate dean in SHSU's College of Criminal Justice, and James Marquart, a former SHSU criminal justice professor now at the University of Texas/Dallas. 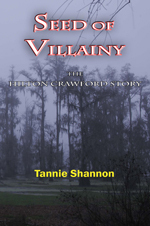 Seed of Villainy: The Hilton Crawford Story, was authored by Tannie Shannon, who teaches writing at SHSU and as a graduate student interviewed Hilton Crawford while he was on the Texas prison system's Death Row. Crawford said that a mystery man named R. L. Remington committed the actual murder. Shannon taped hours of conversations with Crawford and says that even though the FBI told him they did not believe R. L. Remington existed, "I believe that Crawford's version is indeed the true and accurate account." Even if there had been another person involved, Crawford admitted planning the kidnapping that resulted in McKay Everett's death, making him subject to the capital offense charge. The crime, and subsequent trial of Crawford in the SHSU Criminal Justice Center courtroom, attracted immense media attention because it was unusual in several aspects. Hilton Crawford knew the victim and his family--so well that he and McKay tossed a football around together, and McKay called him "Uncle Hilty." Crawford was a respected business owner in the Conroe community and had worked as a policeman and as a captain in the sheriff's department in Jefferson County. When facing certain execution, criminals often confess and ask forgiveness. Crawford maintained throughout his trial in July 1996, until he was executed on July 2, 2003, that another man actually committed the murder. Deadly Betrayal is about more than just the crime. According to its introduction, it focuses on five themes: 1) the kidnapping/murder; 2) the long term effects of violent crime on a family; 3) the "place" of victims in the criminal justice process; 4) betrayal and greed; and 5) final justice. Paul Ruffin, executive director of the Texas Review Press, believes Deadly Betrayal is the first "true crime book" to treat each of these themes "in language easily understood by ordinary readers." Paulette Norman says in her cover note that she has only "memories, The McKay Foundation, a few personal belongings, a gravesite and some ashes," and hopes "to leave something more--lessons learned and, hopefully, wisdom gained." McKay Everett was her only child. Several photographs of McKay Everett are scattered throughout the book, including one taken on the morning of the day he was abducted. A portion of the proceeds from the sale of Deadly Betrayal will go to the foundation, which produces educational materials to help children avoid and get out of dangerous situations. Deadly Betrayal and Seed of Villainy are both available from the Texas A&M University Consortium and various online sources. They may also be purchased by calling 1.800.826.8911.